Get the job done or go off road around Calhoun behind the wheel of the new Toyota Tacoma, on sale now near Cartersville at Riverside Toyota. With a variety of trims from which to choose and ultimate utility, this pickup proves ideal for a wide range of drivers. Browse your options, and then visit the dealership to take advantage of our Toyota Tacoma lease offers and finance financing deals! 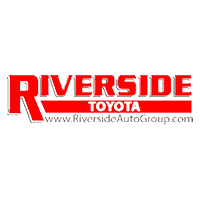 When you’re ready, turn to Riverside Toyota for all of your Toyota Tacoma needs, including securing Toyota Tacoma parts!